In the midst of this brutal heatwave, the last thing you want to do is turn on the stove. I sometimes find myself in a predicament- how to make tasty meals without making your kitchen a sauna. My go-to approach is to create no-cook sauces like basil pestos, olive tapenades and salsas. Just cut up your ingredients, blend them together, and you’re good to go! 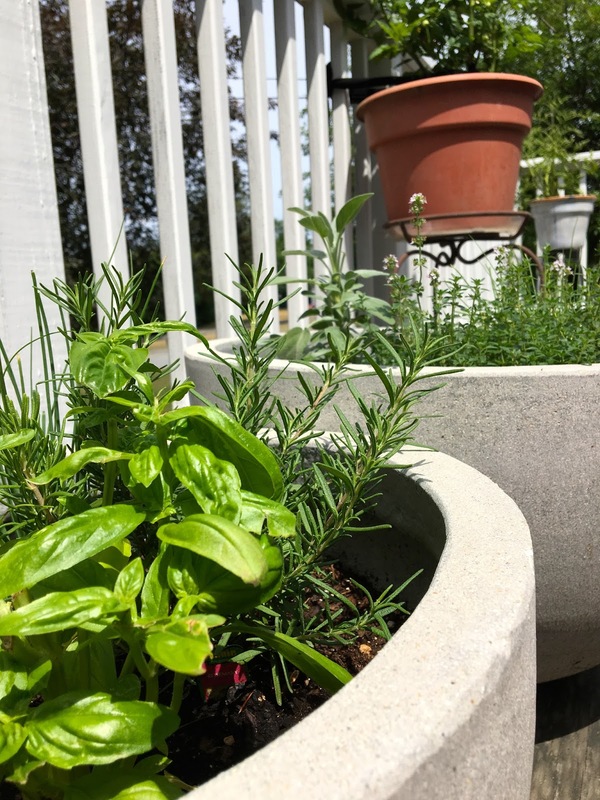 With my ceramic pots overflowing with herbs, I decided to blend up a simple chimichurri sauce. Chimichurri is native to Argentina, typically made from oil, vinegar, garlic, jalapeño and a bunch of herbs. I was first introduced to the tart salsa by an Argentinian friend over steak, and fell in love with the spicy punch it added. The gorgeous green puree adds a pop of color to any grilled meat, chicken or seafood dish. I often drizzle it over steak tacos, over an omelette, or serve it alongside grilled kebobs for dipping. Last night, I decided to grill some lightly seasoned shrimp which takes just a few minutes to cook, and drizzled the gorgeous green chimichurri on top. Add all ingredients to a food processor and mix until well blended. Set aside until time to serve. Add the shrimp to a shallow dish with the olive oil, lemon, salt, pepper and cayenne, and let sit for 20 minutes to marinate. Heat the grill to medium-high. Once ready, thread the shrimp onto sets of 2 skewers, pushing the shrimp so that they are snugly together, with five to six shrimp on each. Grill the shrimp just 3-4 minutes on each side, until they are pink and slightly charred. Transfer the skewers to a serving sheet, drizzle generously with the chimichurri sauce, and serve. Serves 6. 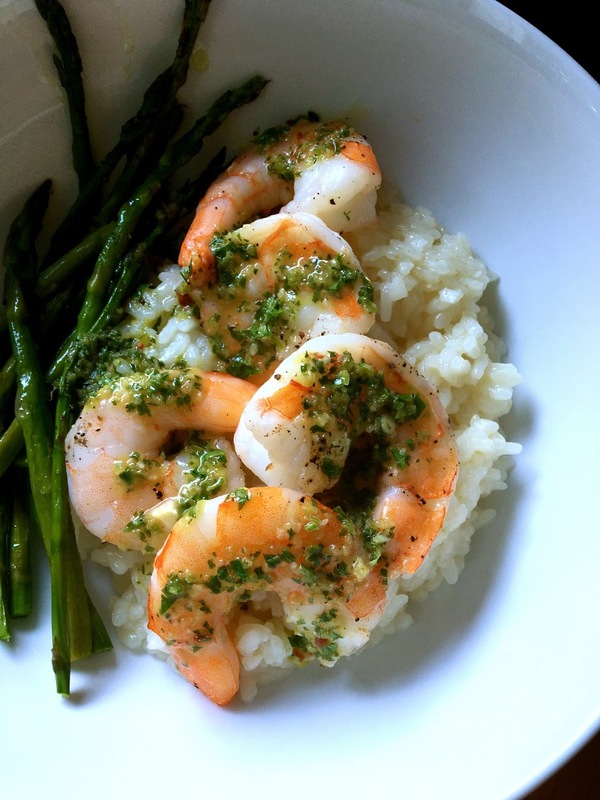 I enjoy the Chimichurri with Grilled Shrimp over a bed of brown rice or with grilled pieces of naan for dipping.